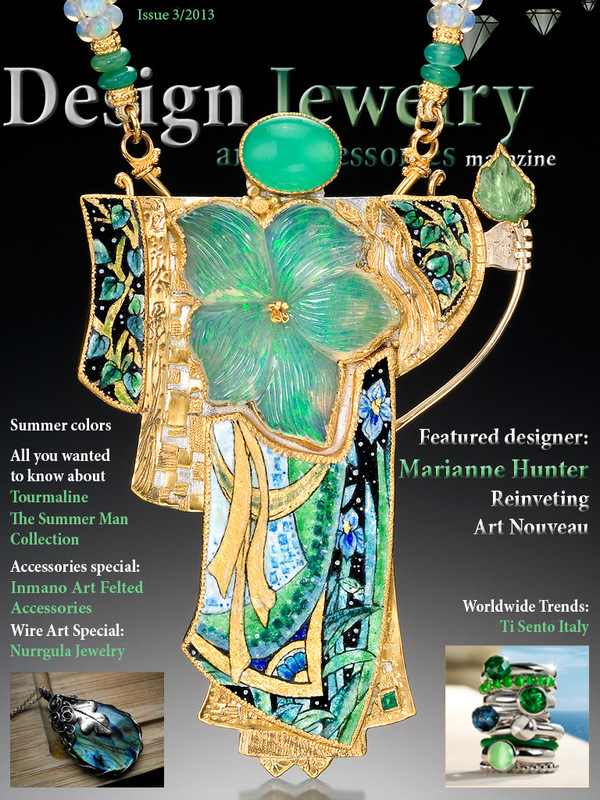 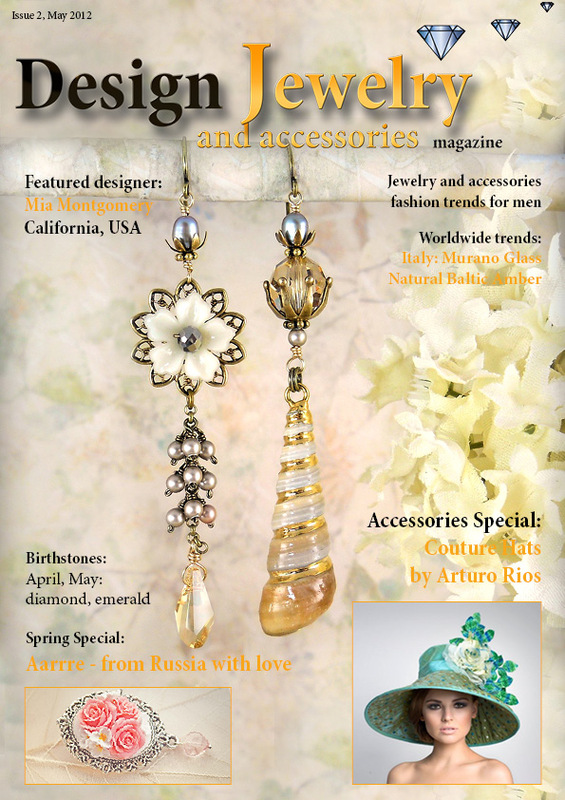 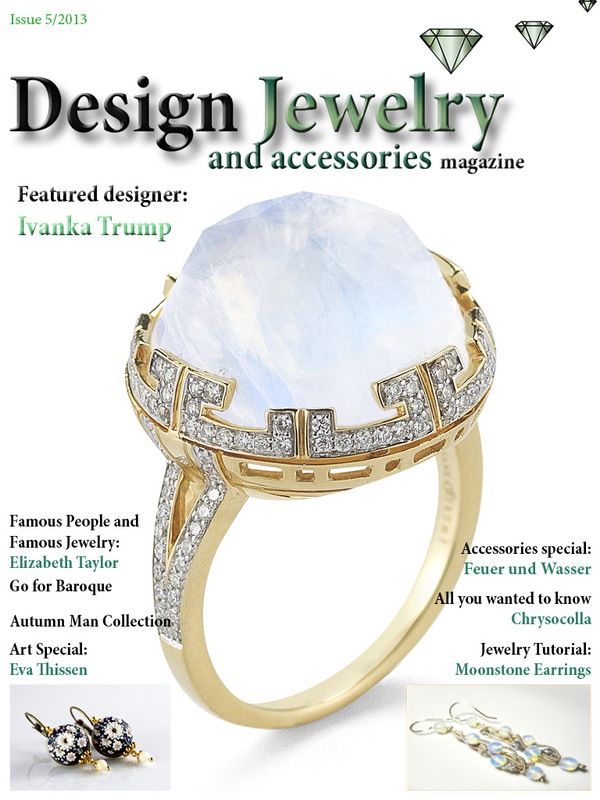 Design Jewelry and Accessories Magazine. 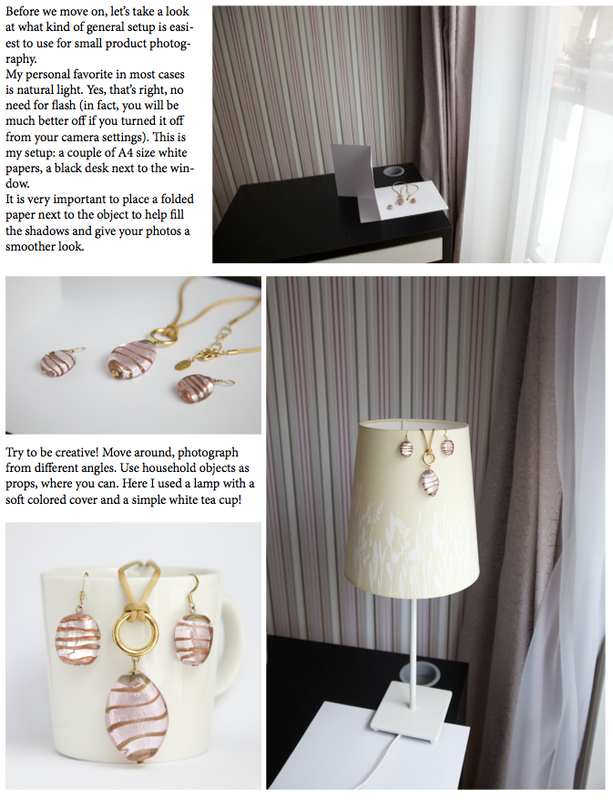 If you want to be featured on the blog, please write me an email. 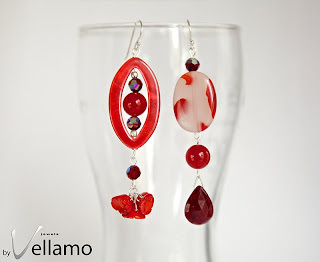 You can find it in the About page on the DJAM blog. 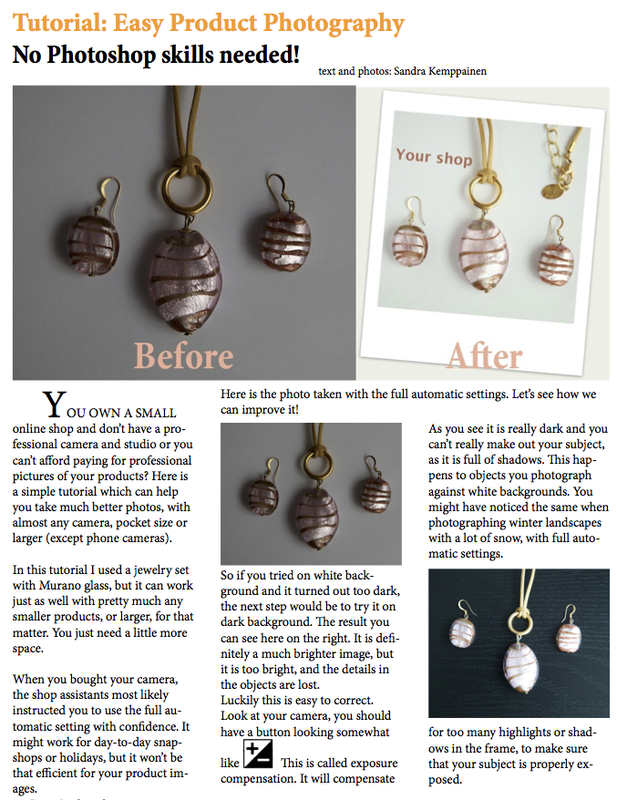 I am copying this same post from my bigger photography blog, The I Inside. 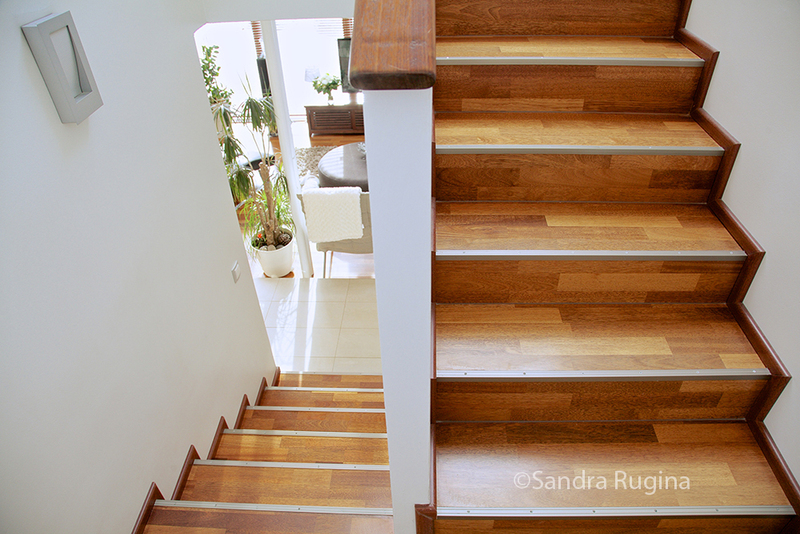 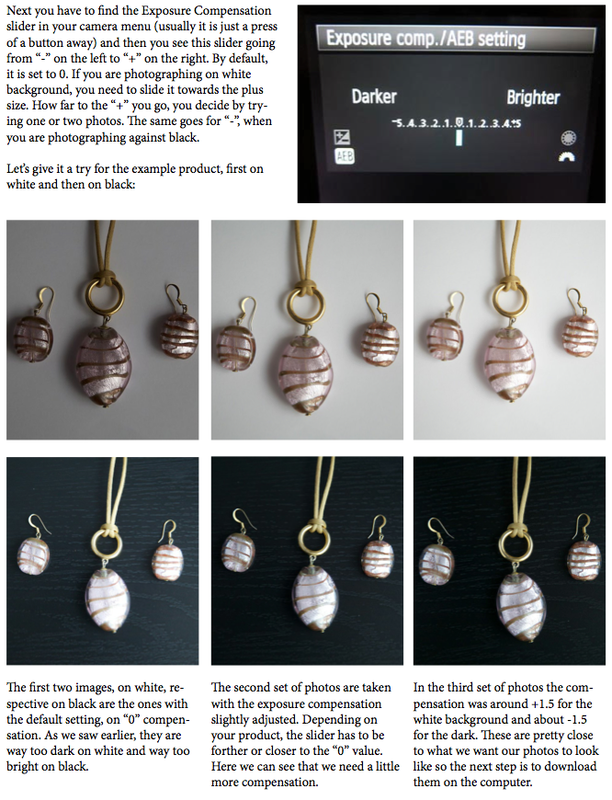 I see many many shops out there, most of them have great items, but they need a learn a few tricks about improving their photos. 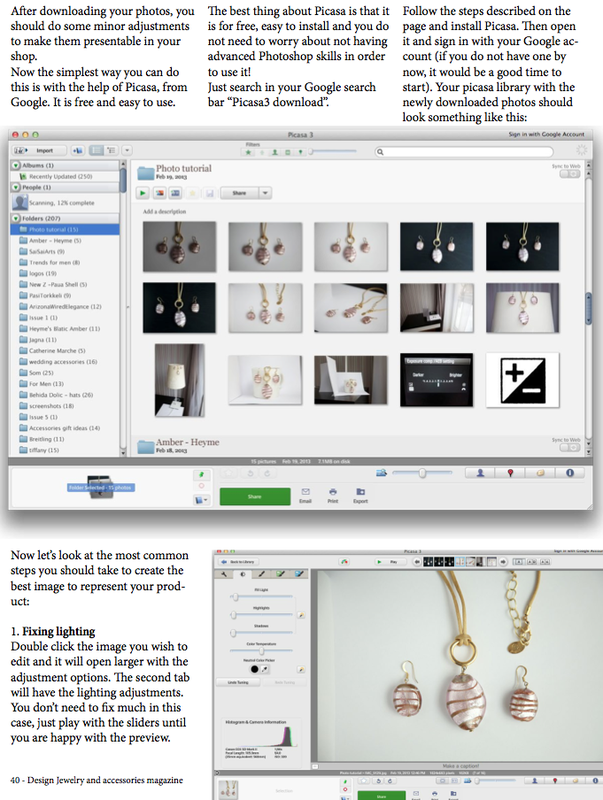 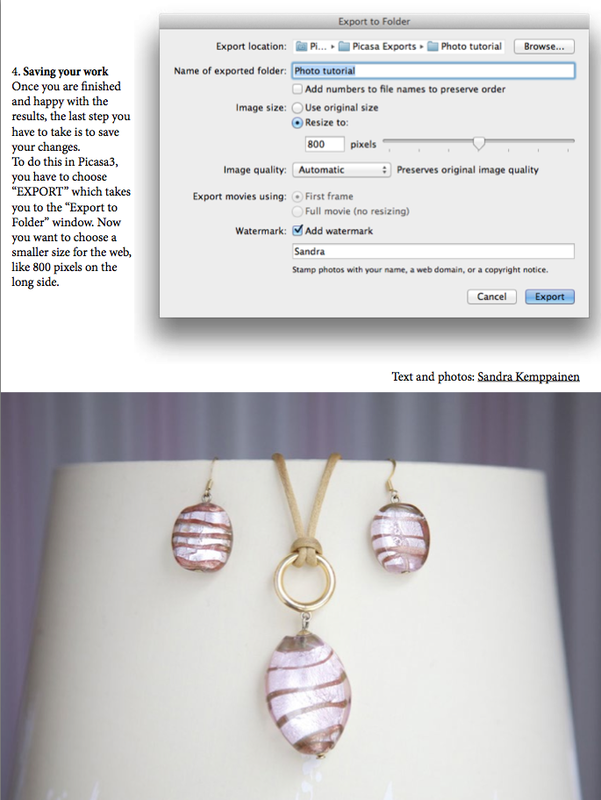 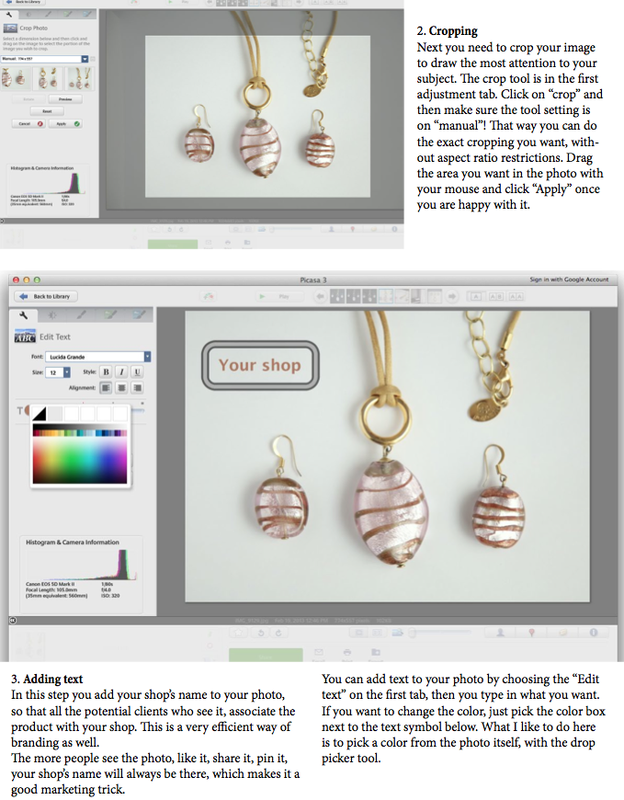 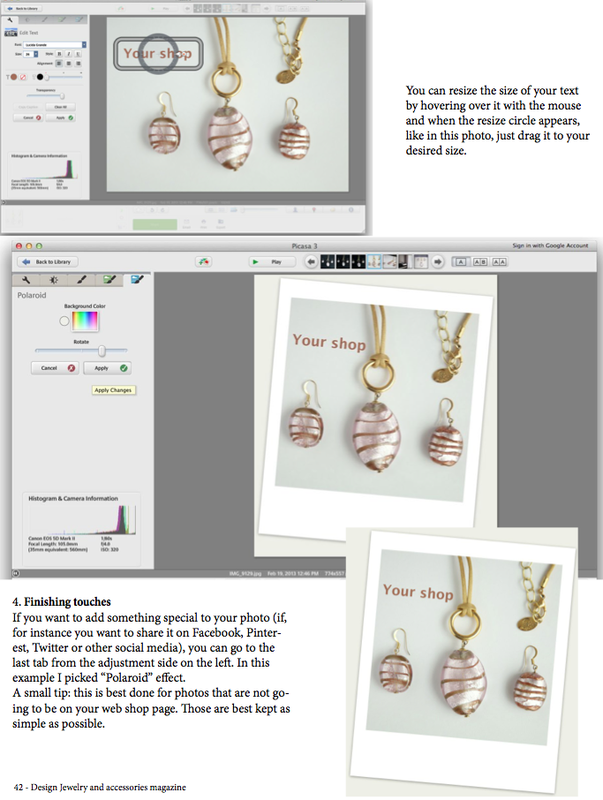 I wrote this tutorial a while ago, for my magazine, Design Jewelry and Accessories and I thought I could publish it here too. I recently got these gorgeous jasper stones. 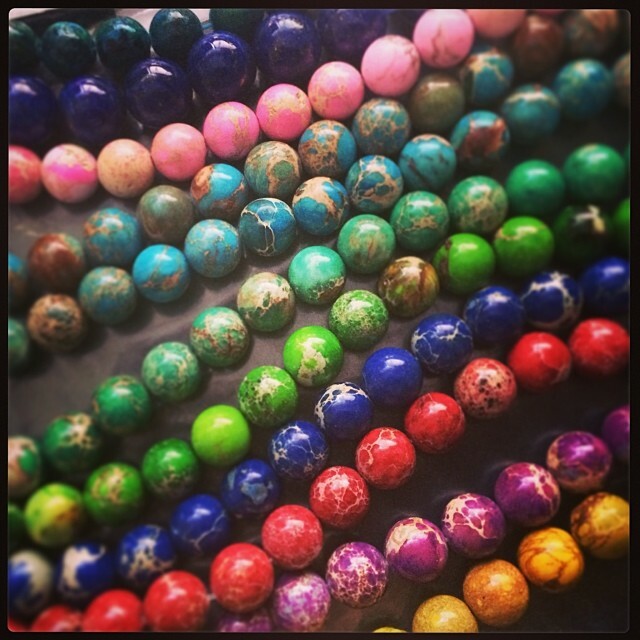 I love the colors so I made some stretch bracelets with them. 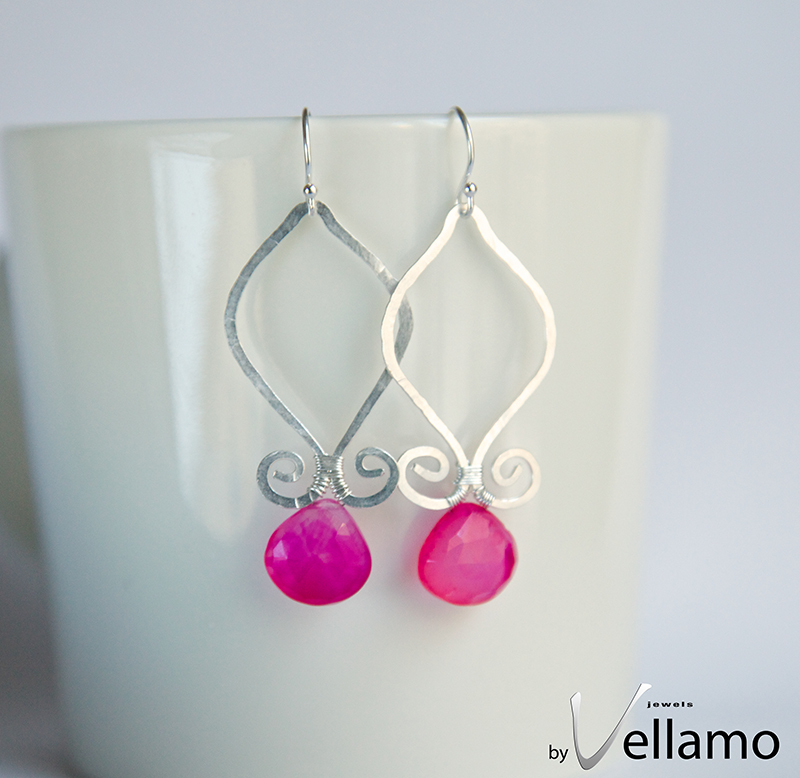 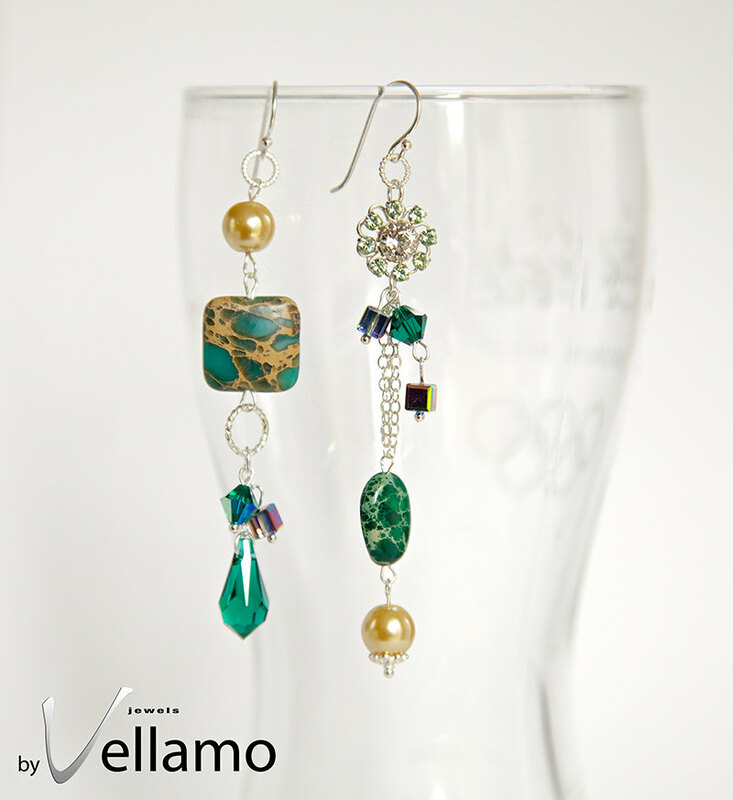 You can wear one, or mix and match colors! 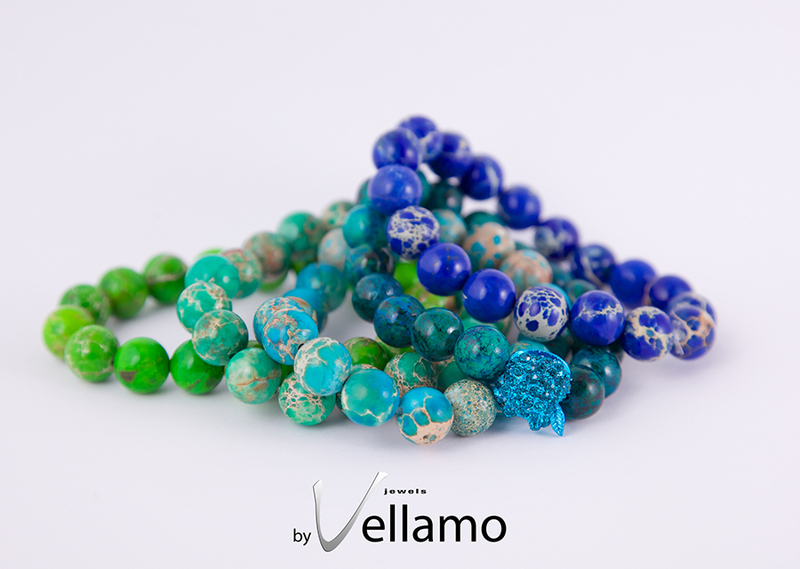 See the bracelets in my Etsy shop, ByVellamo. 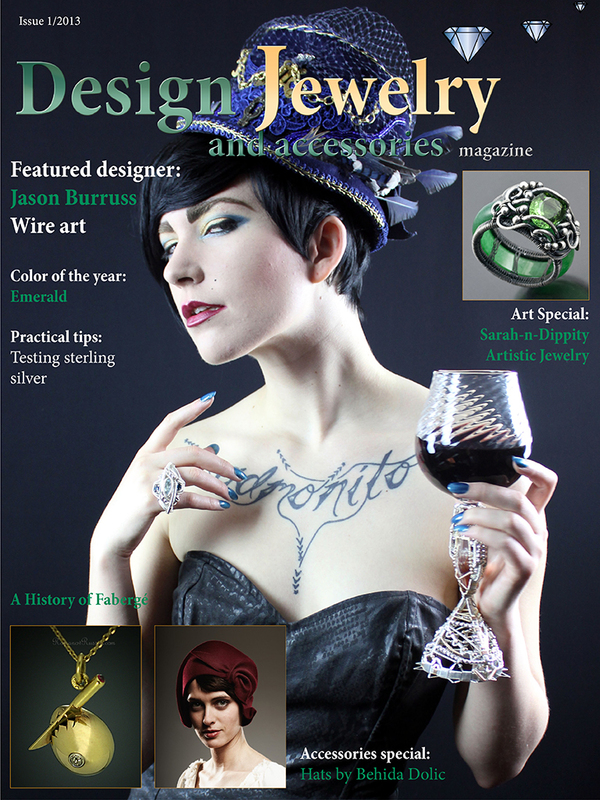 A few years ago I had barely heard of amber... I didn't think it too valuable. 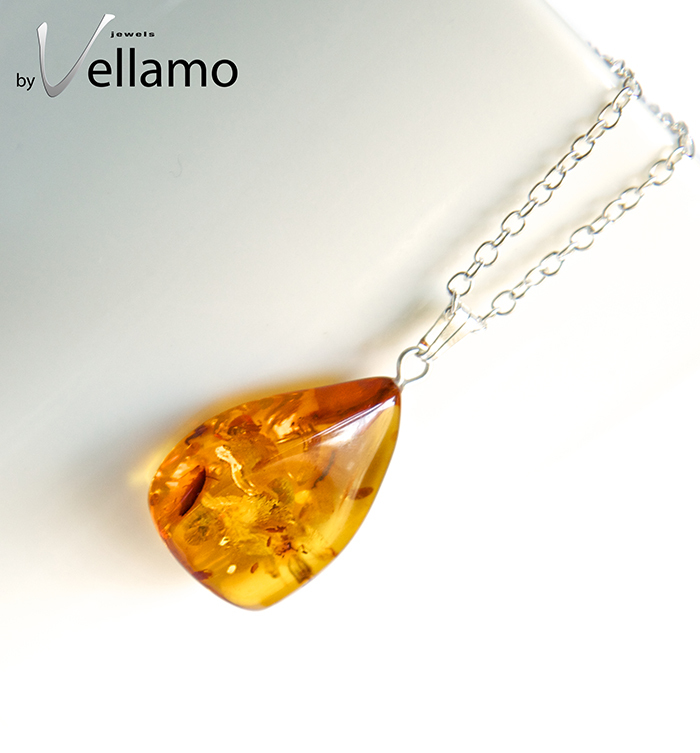 But of course, I had only seen quite dark, boring looking amber, with little or no inclusions. 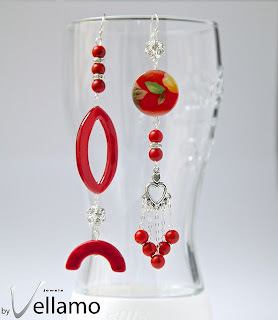 It just looked a bit like plastic to me. Baltic amber is considered to be the best variety of amber. 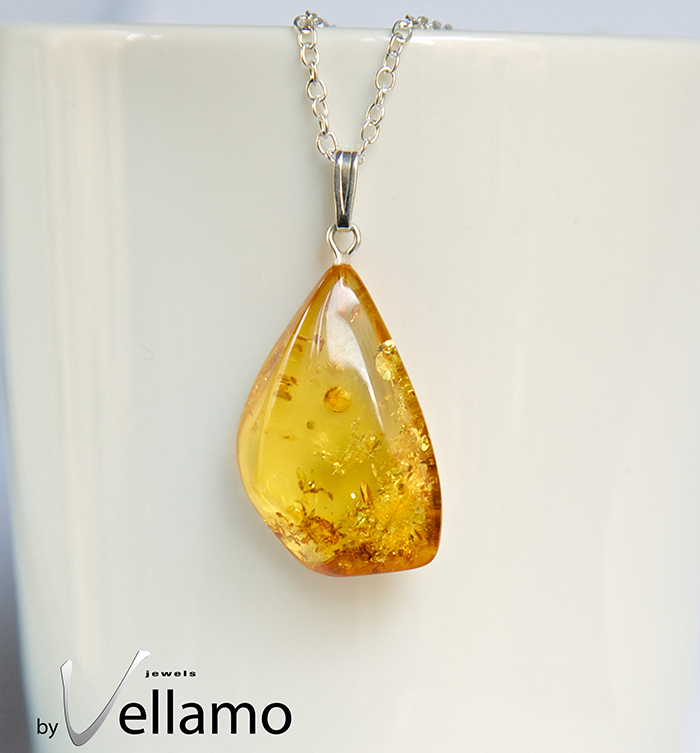 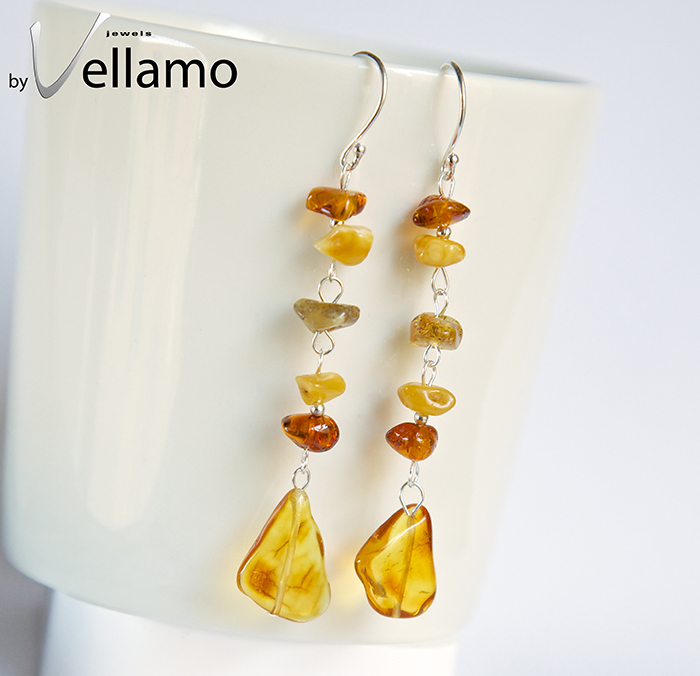 Baltic amber is usually of a yellow, honey-like color, but may occur in many shades from pale yellow to dark brown. 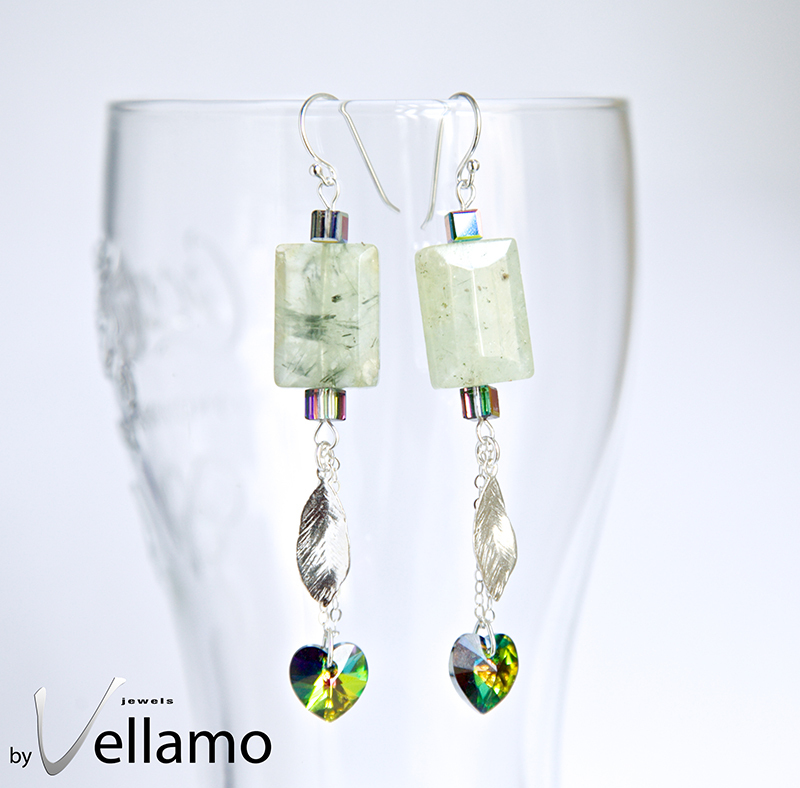 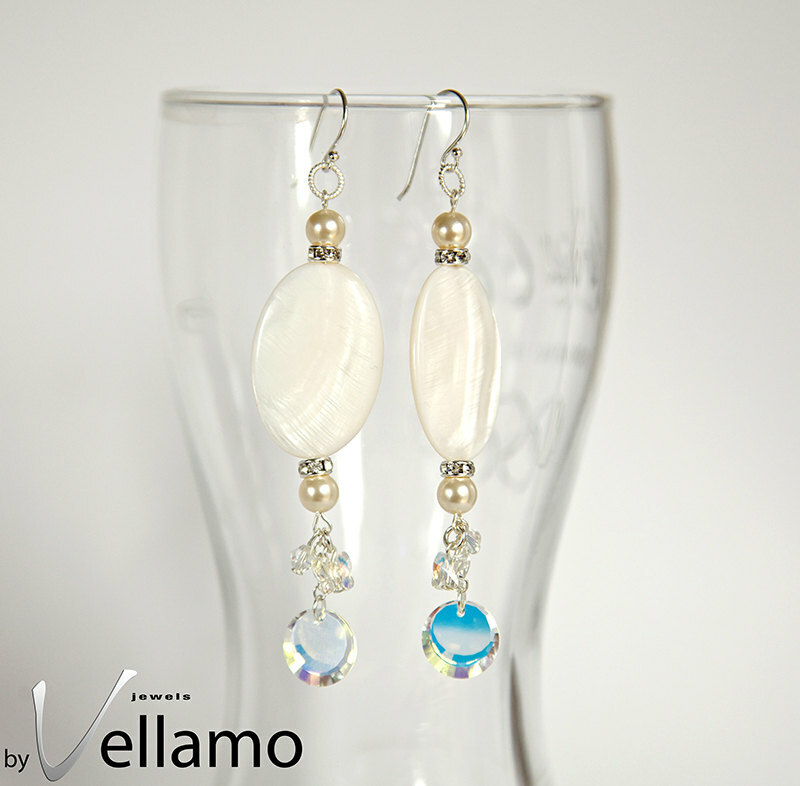 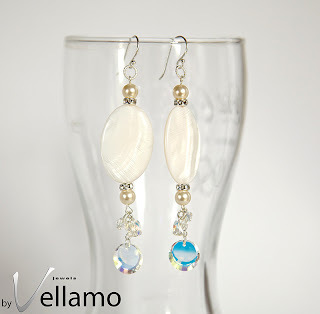 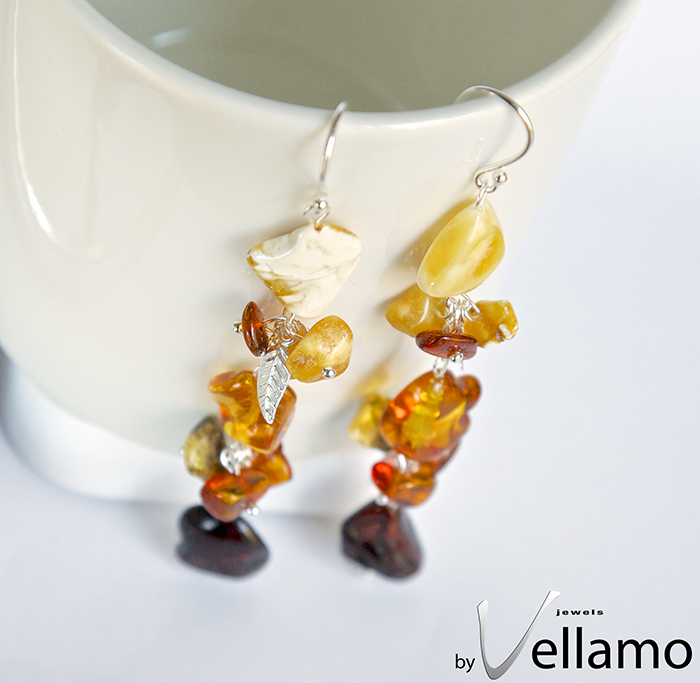 White pieces with a yellowish or bony tint, as well as green and even blue amber are rare. 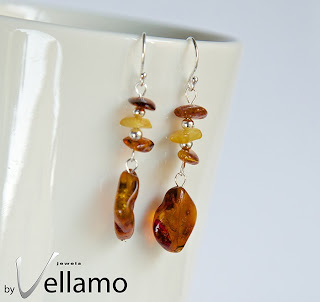 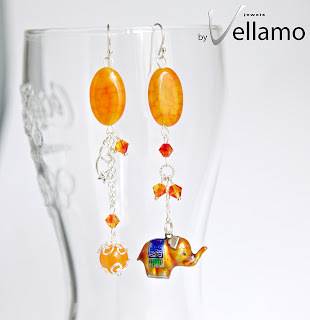 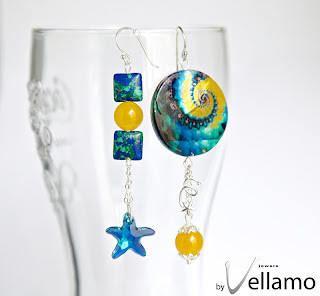 See them in my Amber Collection. 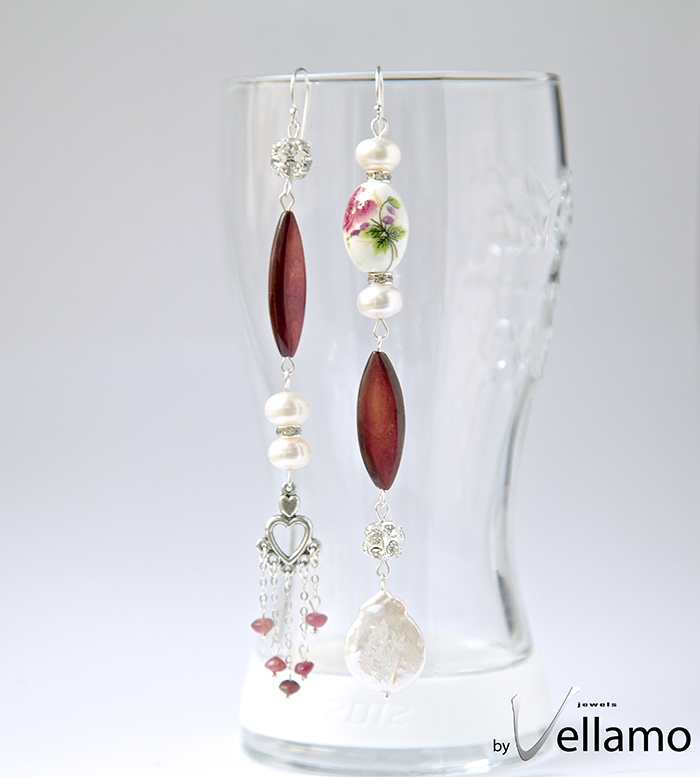 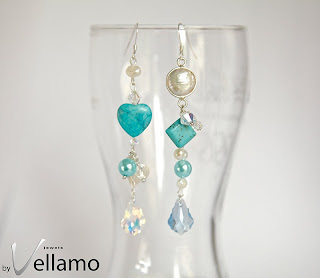 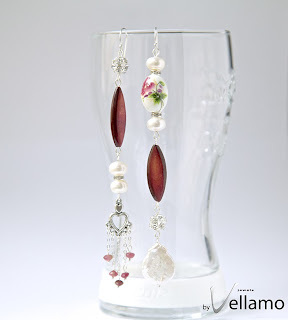 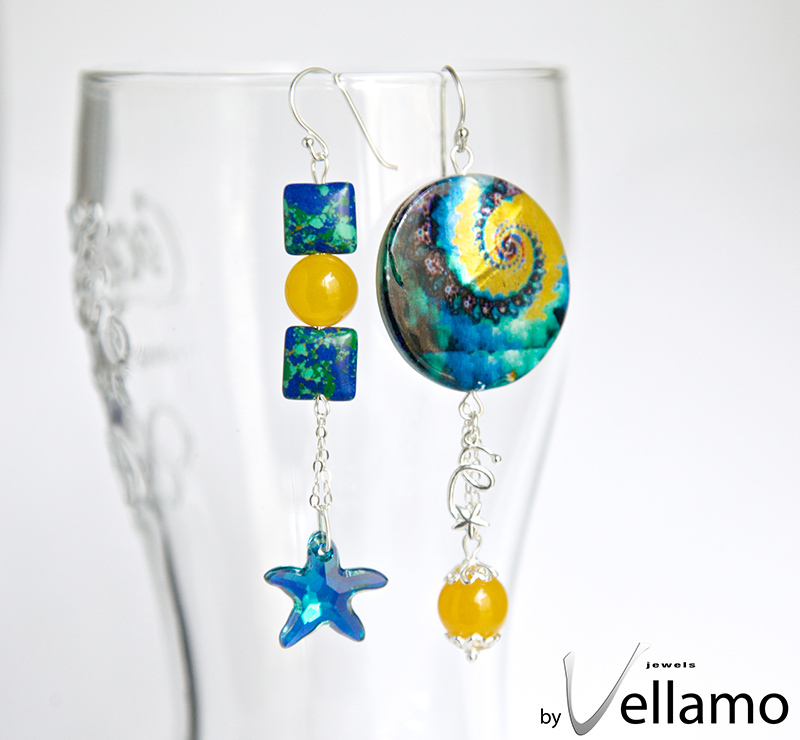 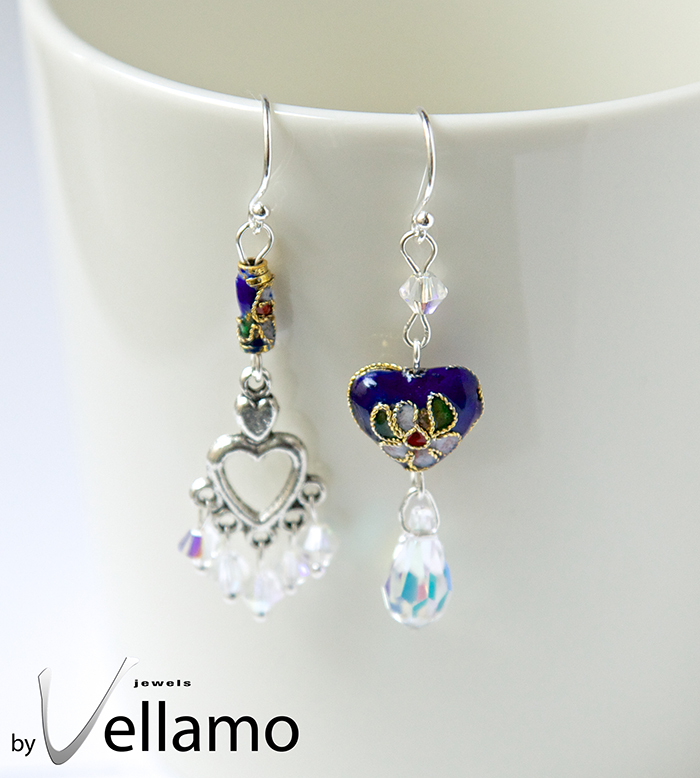 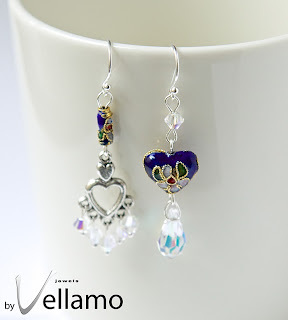 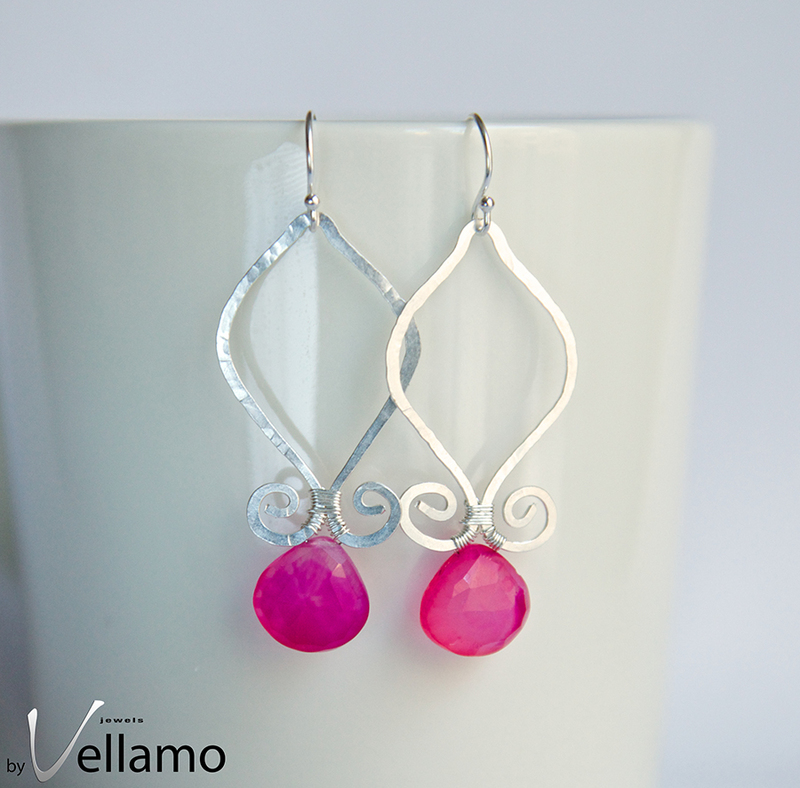 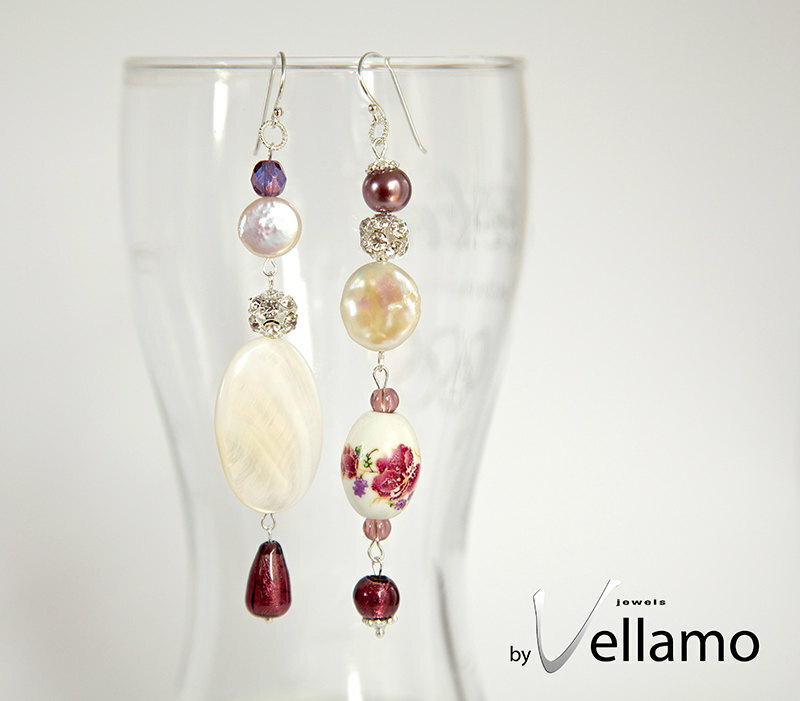 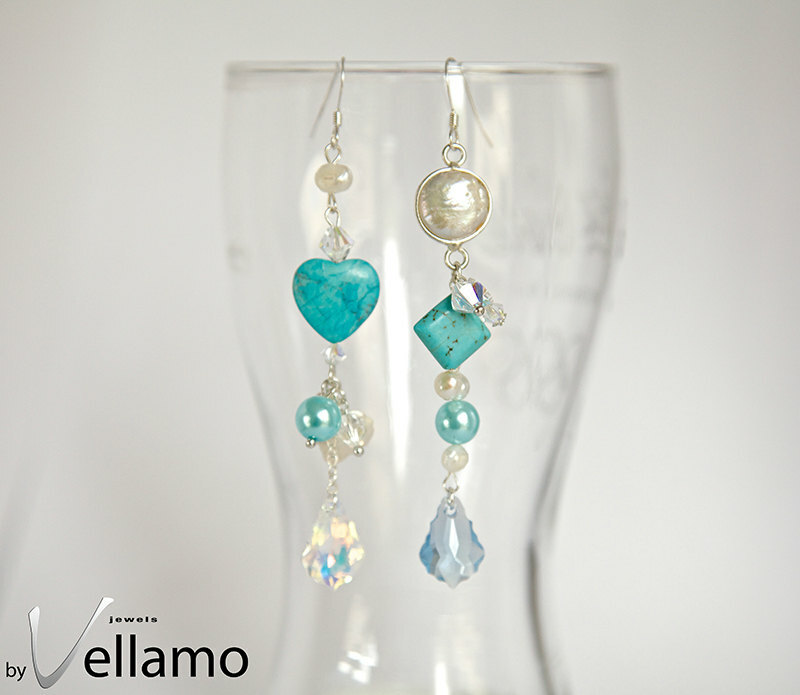 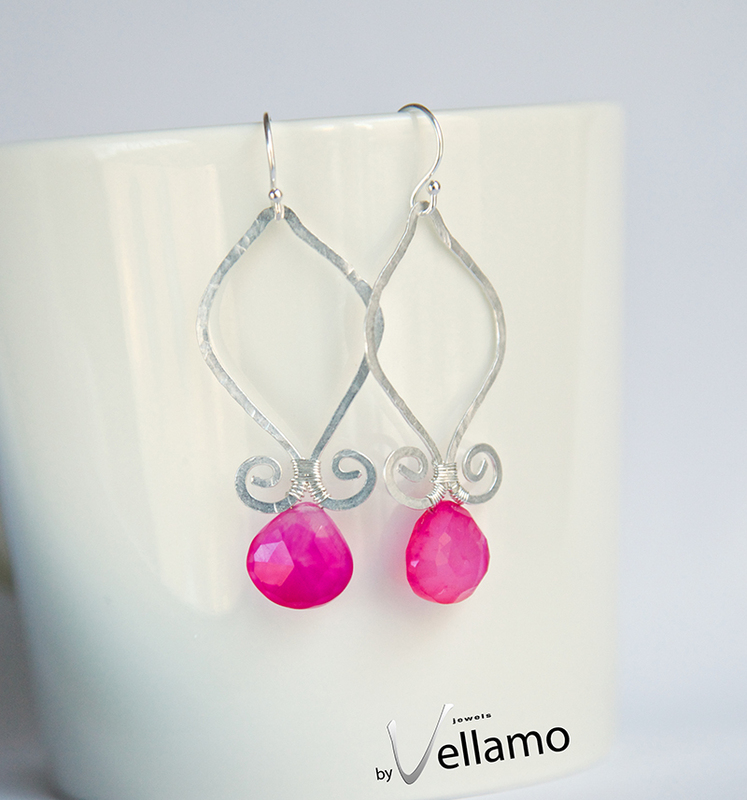 Recently I have started making these long earrings in many colors, using a combination of stones, cloisonne beads and Swarovski crystals. 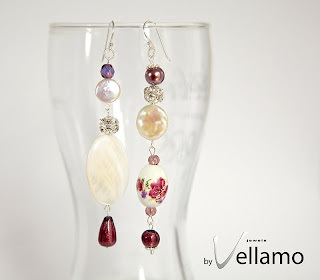 See all of them by clicking here.